Every small city has its turning point. A point where a homogeneous cityscape develops unique pockets, neighborhoods, and boroughs all which give rise to unique cultures, architecture, and more. When the developers of Perimeter approached us with a forward thinking idea to capitalize on Greenville’s expansion in a new and innovative way—we jumped at the chance. An ever-expanding city with a burgeoning West End, there’s no denying the abundance of apartments and condominiums cropping up all over this city. But in terms of quality, location, and hotel like amenities, Greenville is missing those lux, lifestyle based, experiential driven, units—or at least it was. The Perimeter team had a vision to bring Greenville a luxury condo development that featured expansive units with top-of-the-line finishes, and first class amenities, amenities like an in house café and coffee shop, day spa, screening areas, and plenty of common space, not to mention lots of additional parking. To build the hype around this amenity laden condominium development, the Perimeter team retained Redhype to handle all aspects of identity creation, marketing, branding, and design, with efforts ranging from promotional materials and website development to social media, experiential events, and advertising efforts. 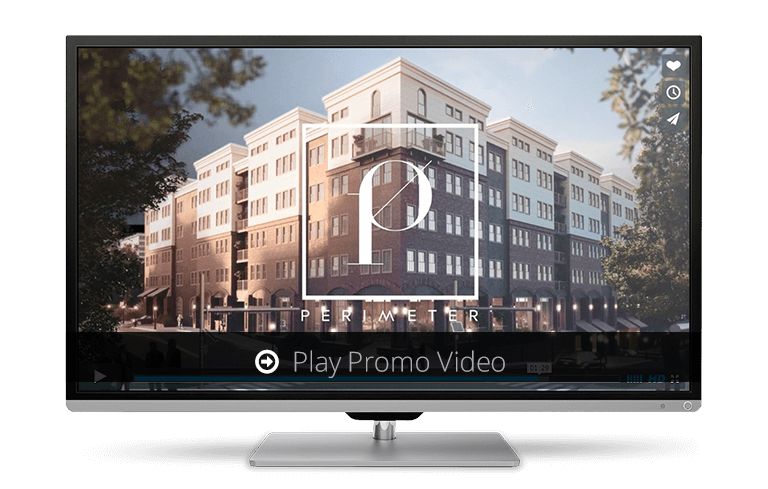 With a Greenville based promotional anthem, a high end, “talk of the town”- type party and an emphasis on courting potential buyers, Perimeter came to life, moving from concept into reality.